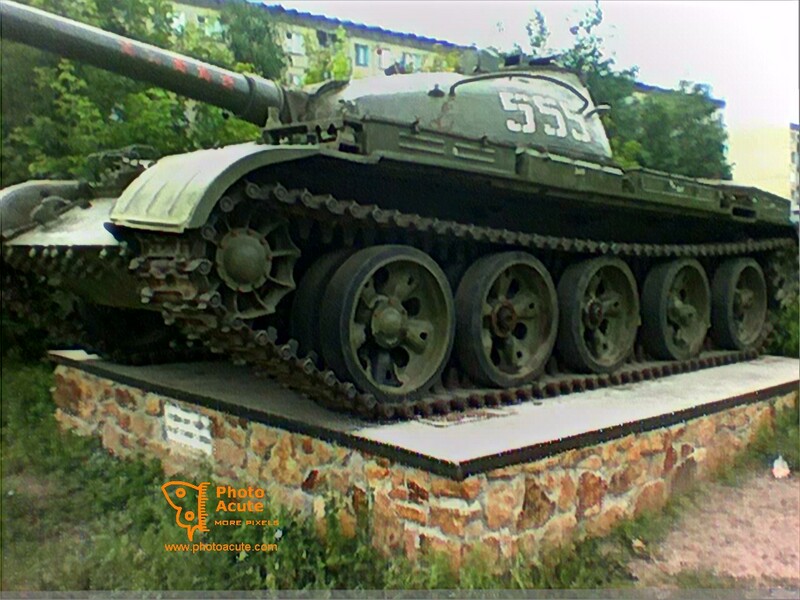 This is a photo of Russian T62 tank. Below you can see the demonstrations of results of PhotoAcute geometry correction algorithms and resolution/quality improvement algorithms. 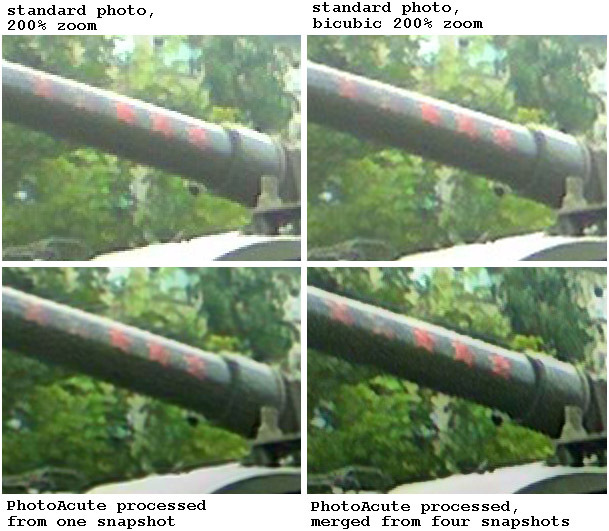 This animation demonstrates the result of PhotoAcute geometry correction algorithm. Note that the tank's gun is curved on the standard photo.